Before buying a house last winter, I had rented several apartments in southwestern Ohio, which gets so cold in the winter (and fall and sometimes spring) that I may as well have lived in Alaska. 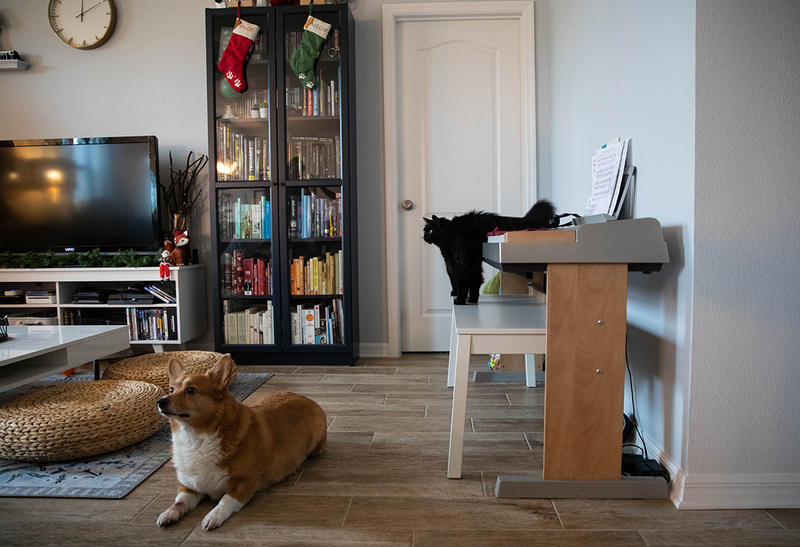 The problem with every single apartment I lived in was the same: It was exorbitantly expensive to heat each one in the winter due to old systems, ancient windows and poor insulation. Luckily, the house I purchased has great new windows, excellent insulation and doors that actually close properly. And any issues that have caused inefficient heating in my home, I’ve been able to fix cheaply. 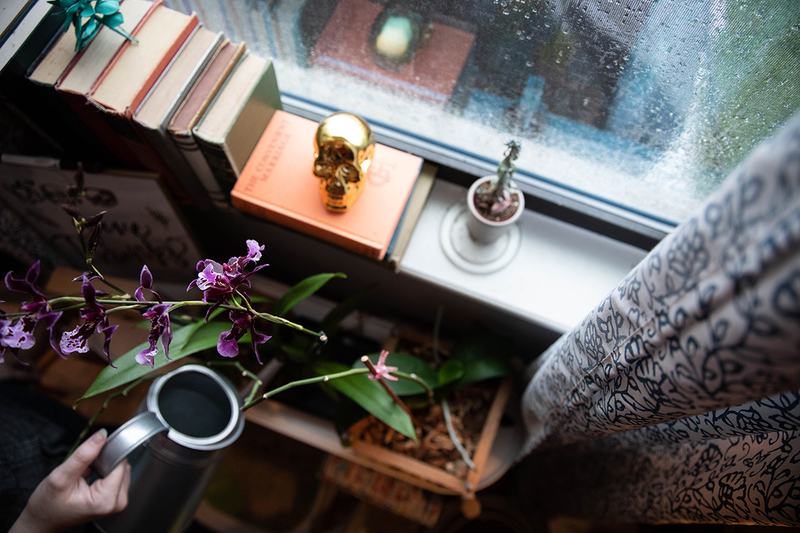 It’s much more challenging to combat these issues in apartments because, as a renter, you can’t just invest in new windows or redo the insulation. 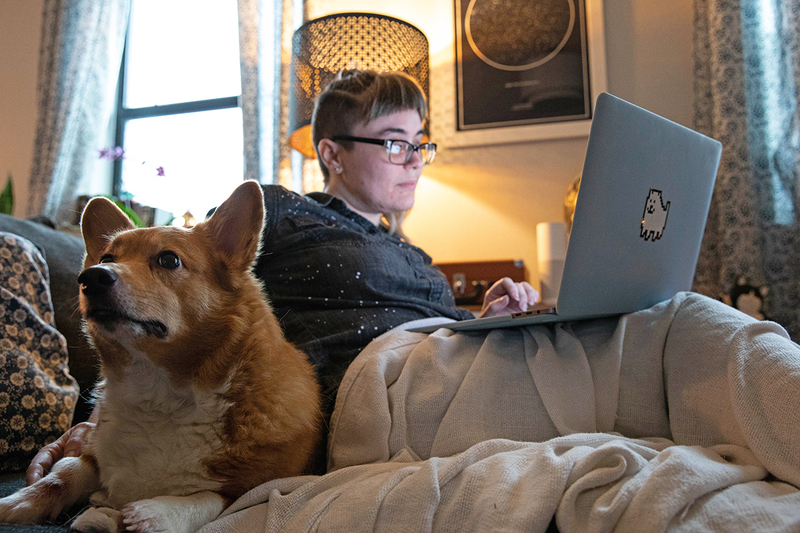 In my eight years of renting, however, I discovered a number of ways to cut back on my apartment heating bills. If you live in a two- or three-bedroom apartment but use one of the rooms for storage, exercise or an irregularly accessed workspace, close the door and shut the vents in that room when it is not in use. Otherwise, you will unnecessarily be heating an unused space. And if the space is so infrequently used, consider downsizing to a smaller apartment the next time your lease is up for renewal. If you stay within the same apartment complex, you often will not have to offer up new deposits. 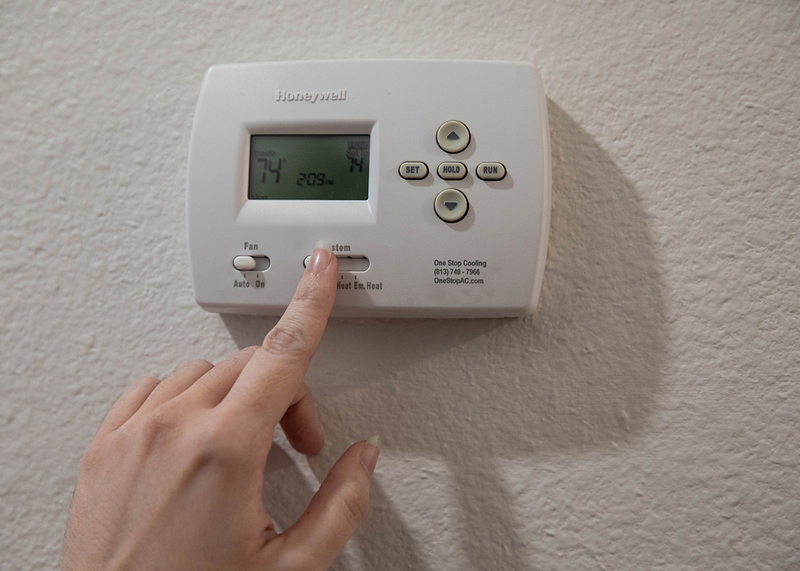 An easy way to reduce your electric or heating bill in the winter is to run your heat at a lower temperature. Obviously, you need to keep your apartment warm enough to prevent your pipes from freezing, but if you can stand the chill, keep your apartment in the low- to mid-60s. Bundle up in sweatshirts, thick socks and blankets to stay warm — and don’t forget to cover up your pets, too. OK, so you’ve turned the heat down, closed off unused rooms and bundled up in blankets, but you’re still feeling chilly. A small space heater might do the trick. 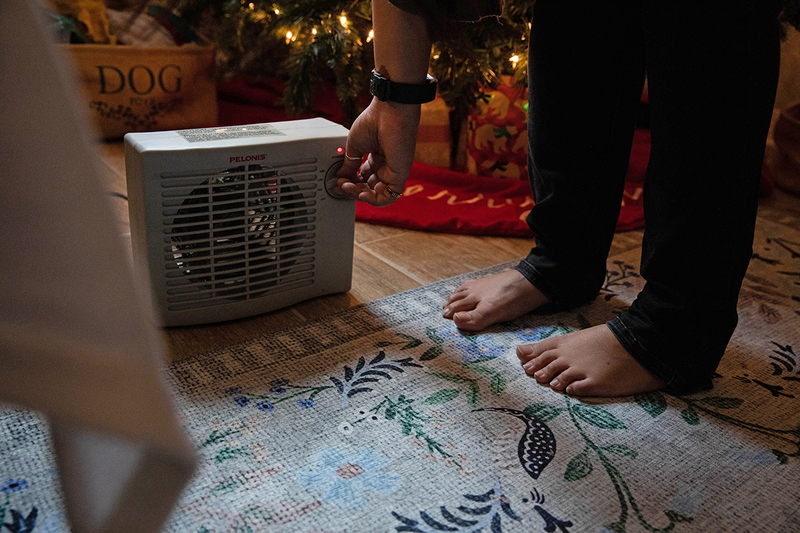 Rather than wasting the energy to heat the whole apartment to a warmer temperature, keep a space heater in the area that you plan to spend the day or evening. Running a little bit of heat in one small area is more affordable than heating your entire living space. One apartment I lived in shortly after college had a living room with one wall that was entirely windows, overlooking a quaint pond. I toured the apartment in the springtime and was immediately sold. Little did I know that these single-pane windows would be the bane of my existence just nine months later when frost began forming on the inside. 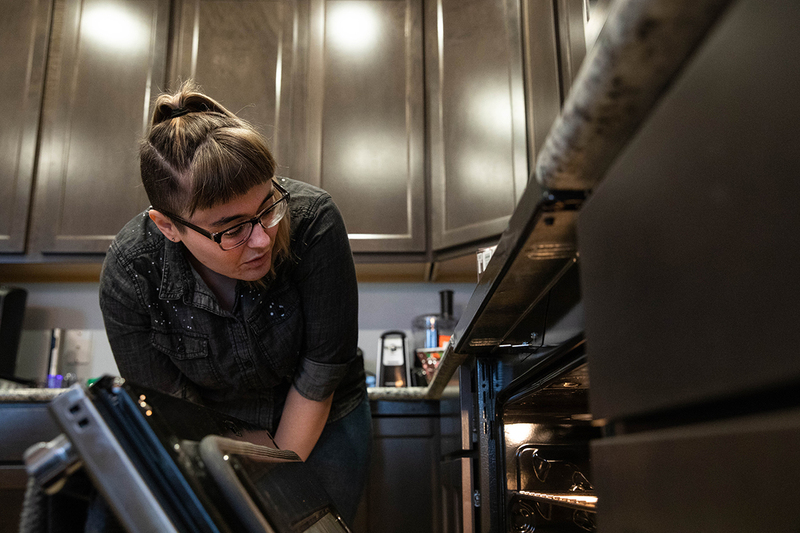 Since renters can’t control whether their landlords install replacement windows (though I spent at least an hour a week in the main office demanding that mine do so, to no avail), finding temporary ways to keep heat from leaking out is crucial. 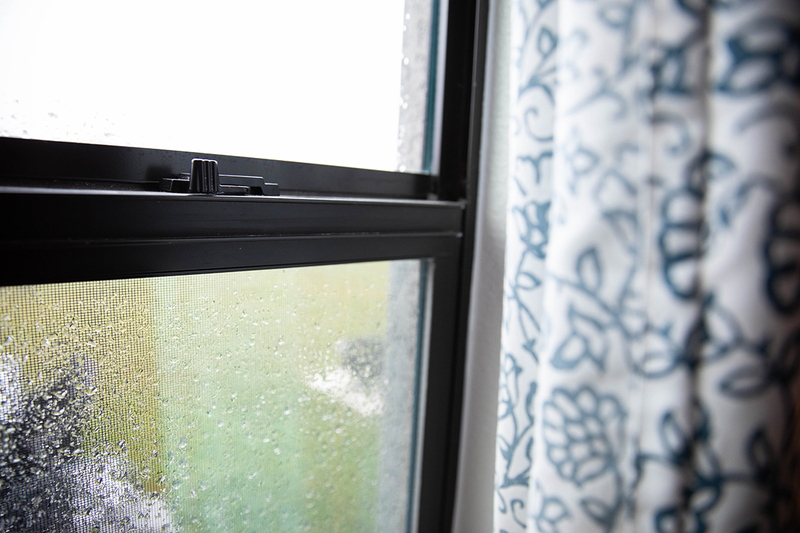 You can do this by hanging thick curtains in front of the windows, but an even better solution (or a solution to combine with the curtains) is purchasing a window insulation film kit. If it is your first time installing, I recommend asking an experienced friend or family member for assistance; when incorrectly installed, your window will look like it’s been covered in shrink wrap. Of course, you can save money on meals by eating at home instead of dining out, but in the winter, baking and cooking can have the added benefit of reducing your heating bill. When you cook in your oven and on the stove top, heat emanates into your kitchen and surrounding rooms. Even after turning the oven off, the remaining heat will eventually filter out to into your home. The bottoms of exterior doors are a major culprit for heat loss in the winter. If you can see daylight creeping in from beneath your door or feel a cool breeze, speak to your landlord about addressing this issue. 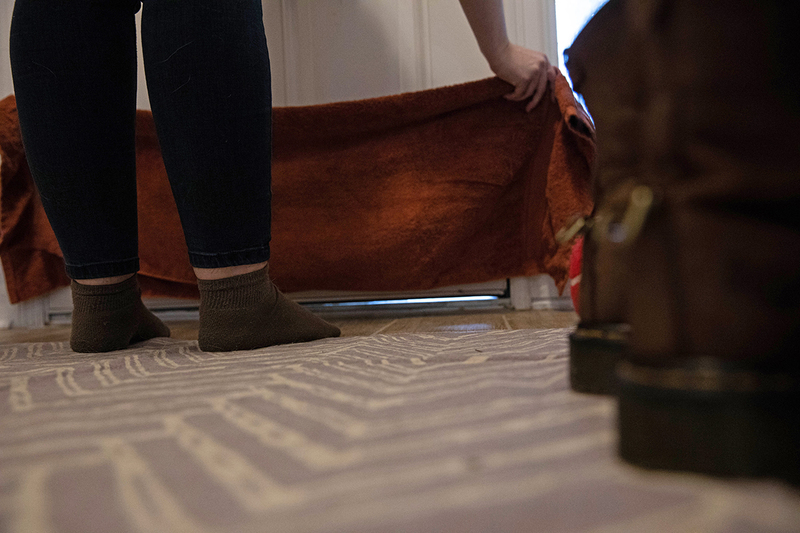 If that becomes a dead end or it will take maintenance a few days to get over, temporarily improve the situation by rolling up a towel and blocking the bottom of the door. The solution isn’t perfect, but it will prevent some heat loss for the time being. Weatherstripping for doors and windows is key to retaining heat in the winter (and keeping it out in the summer). If your windows and doors are letting too much heat out, ask your landlord to replace the weatherstripping. Unfortunately, not all landlords are created equal. If you encounter a landlord who dodges your requests, tell them in writing that you will be replacing the weatherstripping yourself. (Do not make it a question.) It’s a minor cost and will save you big-time on heating bills. If you are stuck in a lease at an apartment community that does not take your maintenance concerns seriously, remember that online reviews are your friend. Leave reviews on Google, social media and the Better Business Bureau site if your landlord ignores or refuses your reasonable requests. I’ve had to leave reviews more than once, and conveniently, the landlords took care of the issues the very next day. Before you know it, winter will come and go. Reduce energy consumption year-round by also reading our tips for reducing utility bills in the summer.